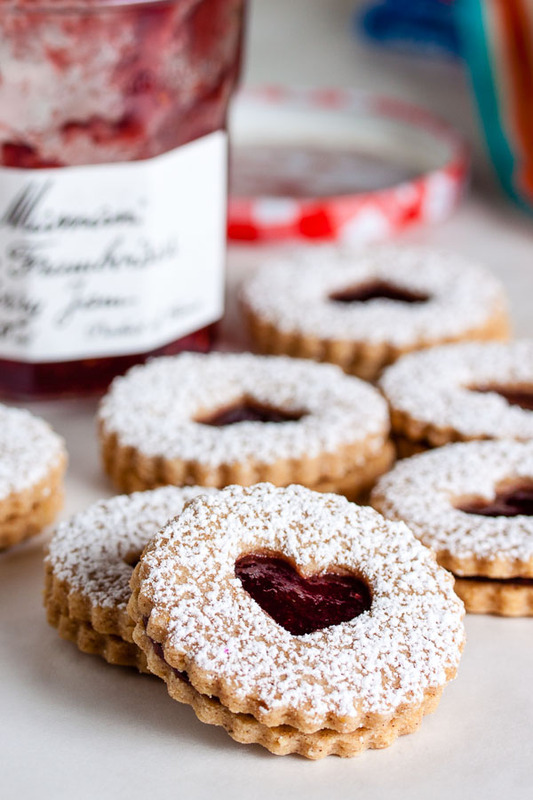 Linzer Cookies | wanna come with? Yes, this week is another heart-themed cookie (because I’m still a sap). 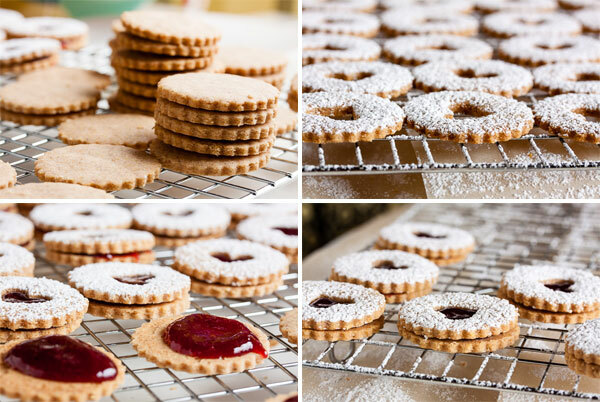 I’ve made linzer cookies before, but I’ve always just used different sized cookie cutters to achieve the effect. 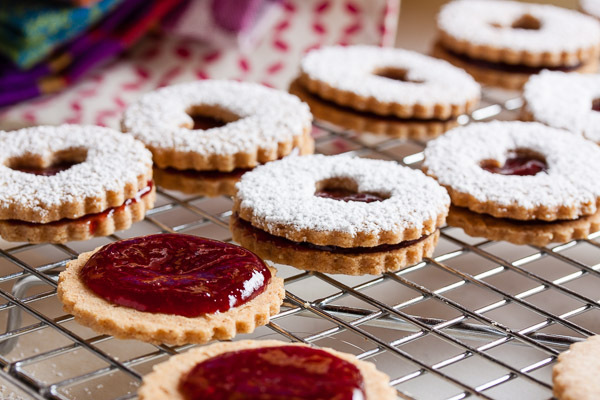 I finally broke down and bought an actual linzer cookie cutter though, so I had to use it. 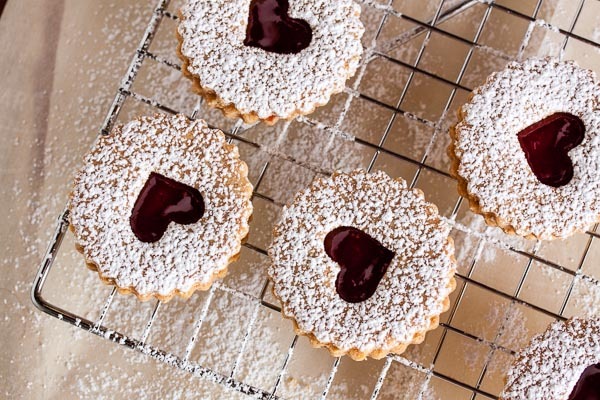 For the past couple weeks, I’ve been finding and bookmarking all the linzer recipes in my cookbooks in preparation for this week (sap). Why did I choose this one? Why not. It sounded really good with the combination of spices and zests. Plus I’ve only baked one cookie from this book so far, so it was its turn. 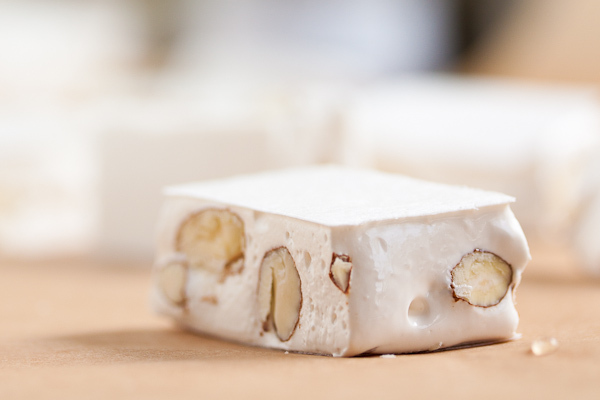 There’s a lot of ground nuts in this recipe, and no liquid, just butter (except 1/4 teaspoon of almond extract). As a result, this dough is incredibly crumbly. When it first came out of the food processor, it didn’t want to hold together at all. I’ve had that issue with other cookie doughs though, and find that some time in the refrigerator gives the flour a chance to hydrate and the dough comes together. Not this dough. It came out of the fridge still really crumbly. Have you ever made a graham cracker crust? 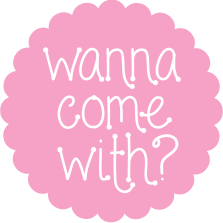 That’s what it felt like when I rolled this out – like I was working with wet crumbs. The middle section of rolled dough was usable, but it kept cracking and crumbling apart around the edges. Have I mentioned this dough is crumbly? Eventually I got it all rolled and cut, though. And I only had one cookie fall apart when I tried to transfer it to the baking sheet; so the dough is workable, just a bit fiddly. 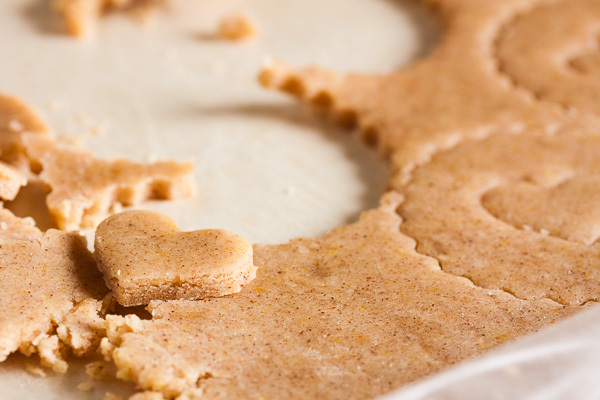 If you want, you can save the centre cut-out pieces and bake up some tiny cookies, but you should bake them on a separate sheet as they’ll need less time in the oven than the full-size cookies. I’ve made a note about timing in the recipe below. I just kneaded them back into the unused dough to roll out again so I could get as many full sandwich cookies as possible out of this recipe. With the almond extract and orange and lemon zests, this dough smells amazing. Once baked, it loses a lot of the aroma, but the flavour is still all there. Or maybe I just got used to it… And that crumbly dough turns into a crumbly yet firm cookie. They don’t fall apart in your hand, but they practically melt in your mouth. A few of them puffed up slightly and developed a tiny bit of a hump, but for the most part they all retained their shape and stayed flat. I may have been a bit over-generous with the application of jam (I almost ran out so the last few were a bit light), but it’s not oozing out the sides so I’m not too worried. More is better, right? The recipe didn’t specify an amount, but I ended up using the entire 1-cup jar. You can purée the jam in a blender, but if you want it super smooth you can run it through a food mill to get all the seeds out (I love my food mill, but pushing it through a sieve will work just as well, if slower). The cookie absorbs moisture and begins to soften after adding the jam, so if you’d prefer your cookies to stay crumbly, don’t assemble them with the jam until you’re ready to serve them. They’re fine soft, too. It’s just whatever your personal preference. 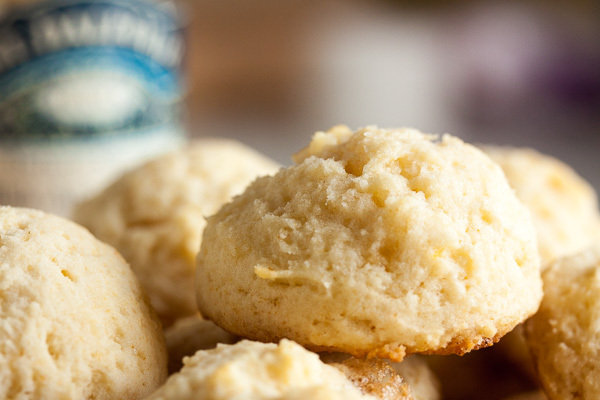 Adapted from Chewy Gooey Crispy Crunchy Melt-in-Your-Mouth Cookies by Alice Medrich. The recipe states it makes about twenty 3-1/2" cookies. 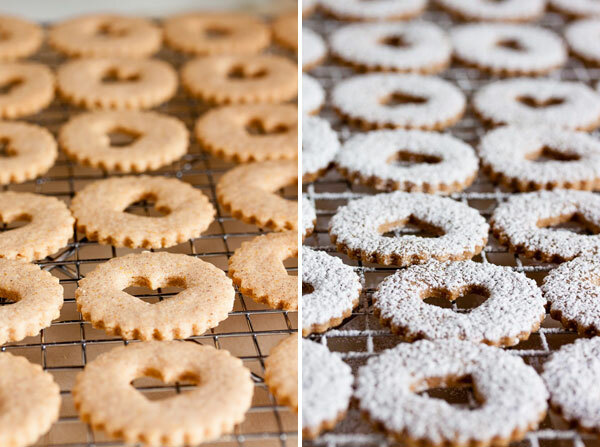 I used a standard 2" linzer cookie cutter and got 40 sandwich cookies (80 individual pieces). Combine the flour, sugar, nuts, salt, cinnamon, cloves, and lemon and orange zests in the bowl of a large food processor and pulse until the nuts are finely ground. Add the butter and continue to pulse until the mixture looks crumbly. Add the almond extract and pulse until the mixture begins to clump up (it didn't really form a cohesive ball for me). Remove from the processor and knead by hand a few times to ensure all the ingredients are blended together. Divide the dough into two pieces and flatten each to form a patty. Wrap in plastic wrap and refrigerate for at least 2 hours. When ready to bake, preheat the oven to 325°F. Remove one of the dough pieces from the fridge and allow to warm for a bit until it's soft enough to work with. Between two sheets of parchment paper or wax paper (I prefer to use parchment paper on the bottom and plastic wrap on top), roll the dough out to 1/8" thickness. I had no real trouble rolling it out, but it tended to crumble apart at the edges. Cut the dough into desired shapes and transfer the cut pieces to your cookie sheet. For the sandwiches, you'll want equal numbers of solid cookies (bottoms) and cookies with cutouts (tops). Once you have a sheet full, bake the cookies for about 13-15 minutes, rotating the baking sheet halfway through, until they just begin to colour around the edges. If you choose to bake the wee cutout shapes as well, bake them separately from the full-sized cookies for about 8-10 minutes. Allow to cool on a wire rack for a few minutes before removing the cookies from the pan and allowing them to cool completely. Once the cookies have cooled completely, separate the solid cookies and the cookies with the cutout shapes. Dust the tops of the cutout cookies with powdered sugar. 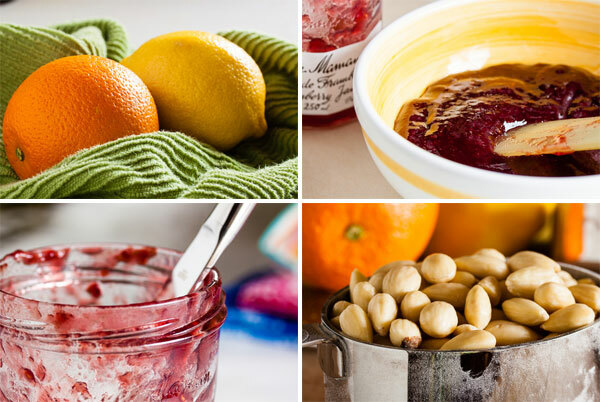 Arrange the bottoms upside down (flat side up) and spread a dollop of jam on each with a knife or teaspoon. According to the recipe, you just need to apply a thin layer. I went a bit overboard. Gently sandwich the tops and bottoms together. 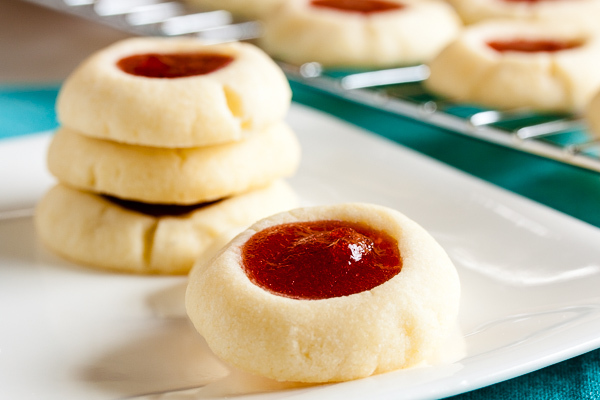 The cookies absorb moisture from the jam and begin to soften over time, so you may want to assemble these just before serving. 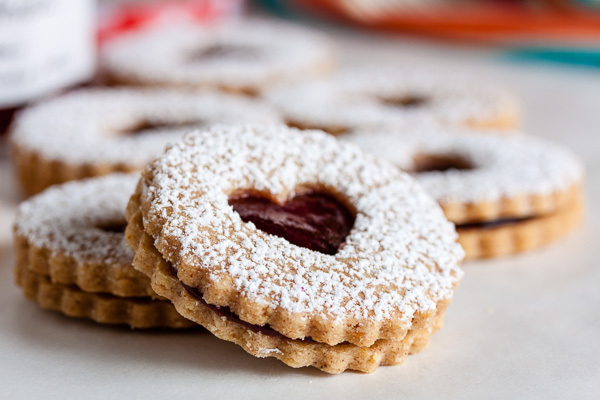 i love linzer cookies. they look great! Your cookies look beautiful! I bet they are delicious with all of the zest, spices, and almond extract in the dough.